Update 2: The Slou dev has responded and stands by his work. As we mentioned, we aren’t the icon police, so I’ll let you make your own decisions after reading his rebuttal. 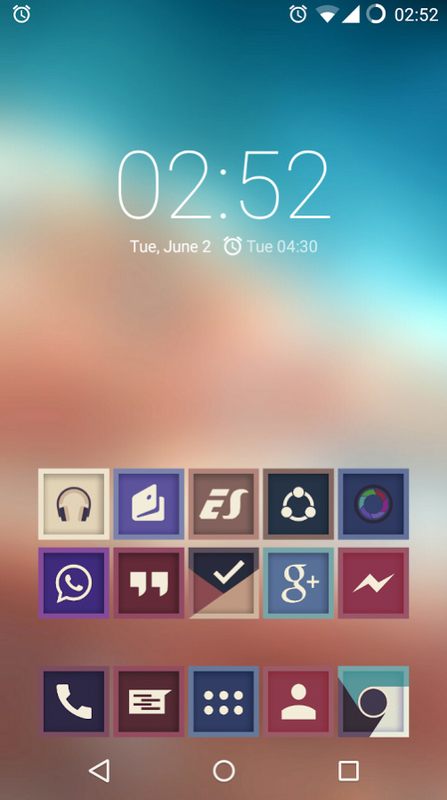 Update 1: After featuring this icon pack, the origin of it was brought into question. We are not the icon police, so I’ll let you read the accusation and make your own judgement. The Play store link to this pack has been removed. I know that we have been quiet on the hot icon pack front, but I think we are going to make up for it with today’s feature, Slou. This is hands-down, one of the most complete, unique, and purchase-worthy icon packs I have seen in months. As you can tell from the images in this post, Slou is as far removed from stock colors and shapes as you will get. It’s sharp, boxy, has borders, and a color palette that is dark, yet refreshing. It’s that combination of uniqueness in shape color and detail that make this such a good pack. Well that, and the fact that there are over 3,000 icons to choose from, 20 wallpapers, and support for all of your favorite launchers. Slou is subtle at times, because of the tone of its colors and vintage aura, yet somehow manages to stand out with some depth through its borders, shape, and icon identifiers. 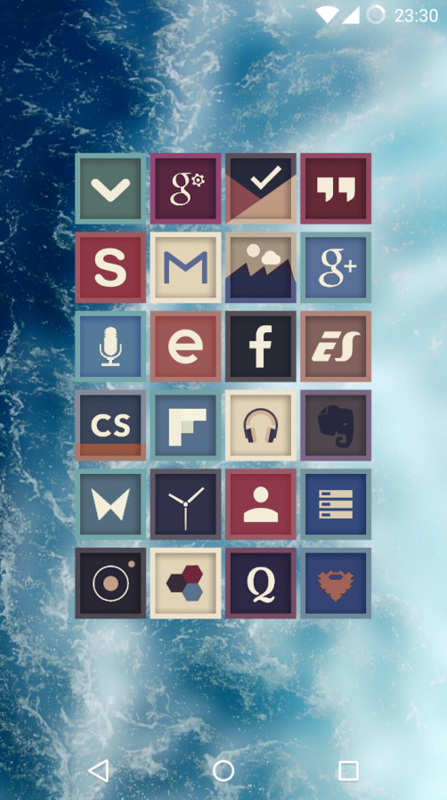 Many icons have multiple alternatives and color choices, there is icon masking for the random icon you have that isn’t in the pack, and the whole thing sees weekly/biweekly updates. 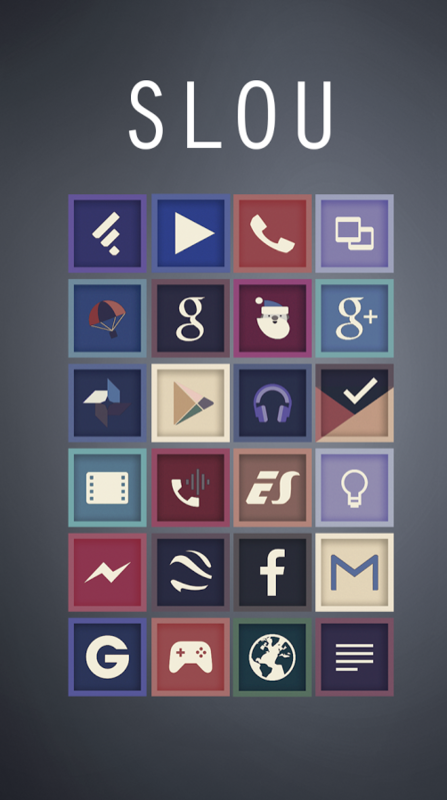 Seriously, this icon pack is hot (and 50% off). 3 Android Games Worth Owning: DOOM 3: BFG Edition, Does Not Commute, and Sunburn!